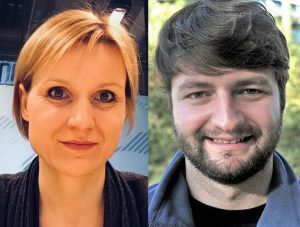 Ewa Maslowska and Lukas Otto will start new projects in the Digital Communication Methods Lab, part of the RPA Communication, as of 2019! Ewa’s project aims to investigate how we can reliably measure which elements of websites consumers are exposed to, in order to advance our knowledge about the effects of these elements on consumer information processing and decision making. 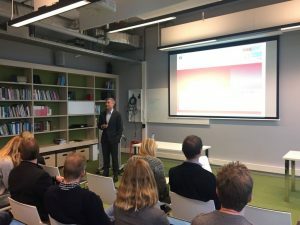 The project will develop eye-tracking measurements for exposure to online content that are predictive of consumer behavior and examine to what extent those measurements correlate with other (digital) methods (e.g., mouse-move tracking). By doing this the project aims to create a stepping stone to understand the broader theme of consumer engagement. Furthermore, it aims to develop methodologies that will be applicable to other context of online communication than the online consumption context. Memory failures and biased self-assessment are seen as severe challenges for the measurement of media exposure. Facing this challenge, Lukas’ project will add to the methods repertoire by introducing the mobile experience sampling method to media exposure research. Participants will indicate their political media usage via Smartphones directly after media exposure to minimize memory effects and multiple times per day to model media selection dynamics as they unfold over time. Excellent social science research requires studies that are both internally and externally valid. Currently, there are many obstacles to achieve this. Lab studies often produce high internal validity, but primarily rely on student samples (external validity issue) and are conducted in clinical settings (ecological validity issue). To address this researchers move their lab to the field (e.g., schools, sporting events, museums or festivals). But researchers face high transaction costs with these so-called lab-in-the-field studies: there are many practical issues to consider and some of these even threaten the internal validity of the study. We offer a simple and innovative solution by creating a mobile social science lab – The Mobile Lab. This facility enables researchers to easily set-up a lab across the country on specific locations. We will invest in mobile electroencephalography (EEG), eye-tracking and psychophysiology equipment as well as mobile cameras for in-depth interviews and behavioural observations. The Mobile Lab will be a national infrastructure and enable Dutch social scientists to test their theories on high-quality samples. In the coming months, the team will start developing the lab. More information will follow here soon.